Lately I have had a few clients that already have a house full of furniture but they wanted something a little extra to jazz up their rooms. The average house is not stocked full of cushions and fantastic throws across their beds because lets face it, maintaining the level of perfection while living in your house is almost impossible. But if you are trying to sell your home you generally go to a little extra effort to reach that perfection, after all you want the best price for your home. These clients requested that I simply style a few rooms adding only soft furnishings, one of the houses was just one bedroom. 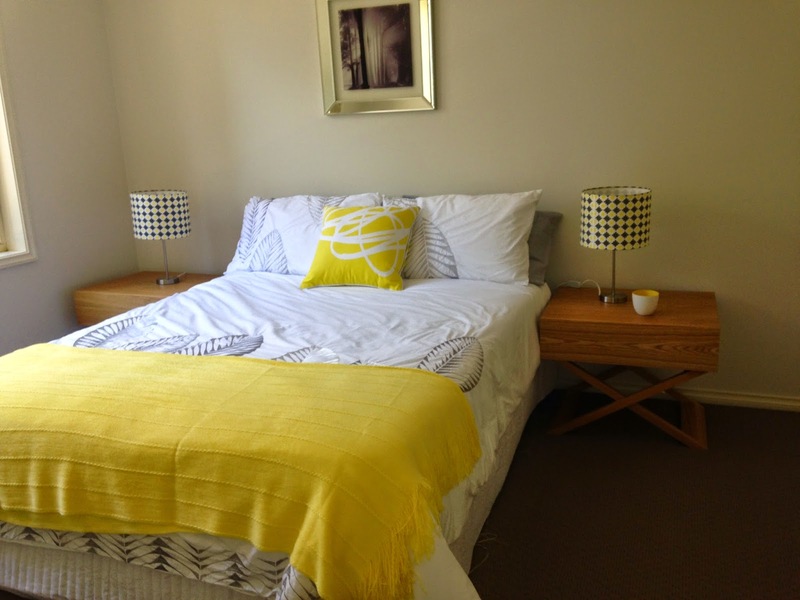 It was a 2 bedroom small home and they just wanted the spare bedroom to look nice, the owner told me she wanted to keep it simple but liked pops of colour, so we went with yellow. They already had a mattress and base in the room with 2 bedside tables, so I simply addedd bedding, artwork and a few lamps, lets check out the finished product. It's amazing what a little pop of colour and some lamps can add to a room. The other house was another small house, the client wanted to add some colour to what she thought was a boring home, she wanted her home to stand out in the crowd that is the real estate market. So that's what we did, we added colour into their spare bedroom. 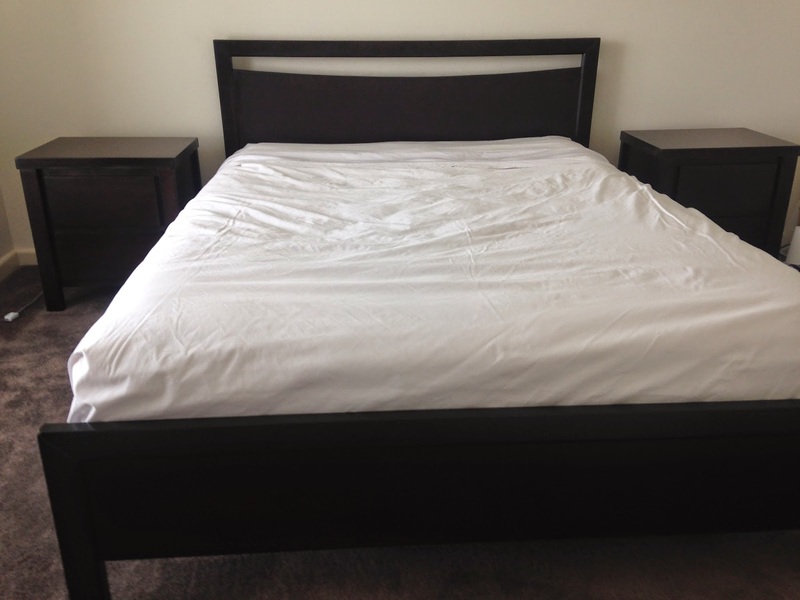 They already had a dark bed frame and mattress together with matching bedside tables. The walls were neutral so we could really add whatever colour we wanted. Here is what we started with....pretty simple right! They wanted colour so that's what we did. 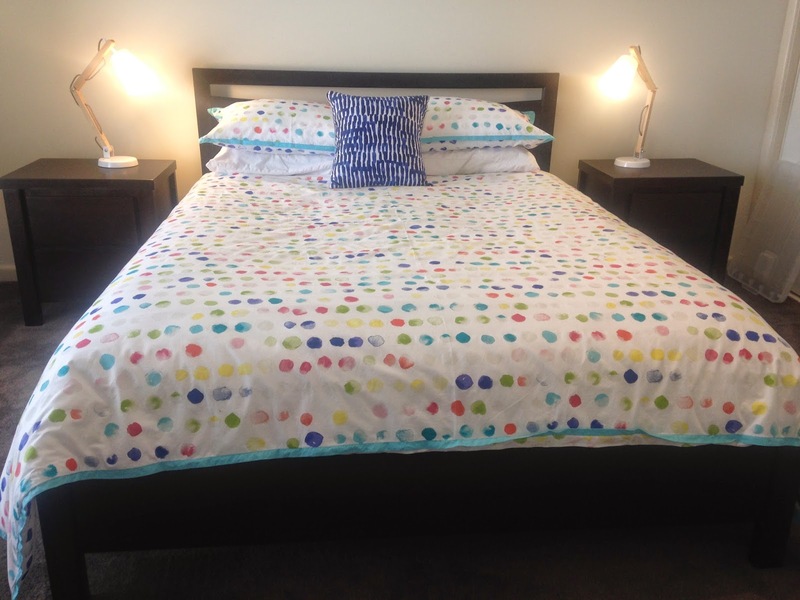 However as the bed frame was already quite dark, we went with a lighter quilt cover with lots of added colour. I absolutely love this linen, its bright and fun and looks fantastic. And what makes it even better is that it comes from a fellow Australian company, Sleepy Bum. Such a fun name! 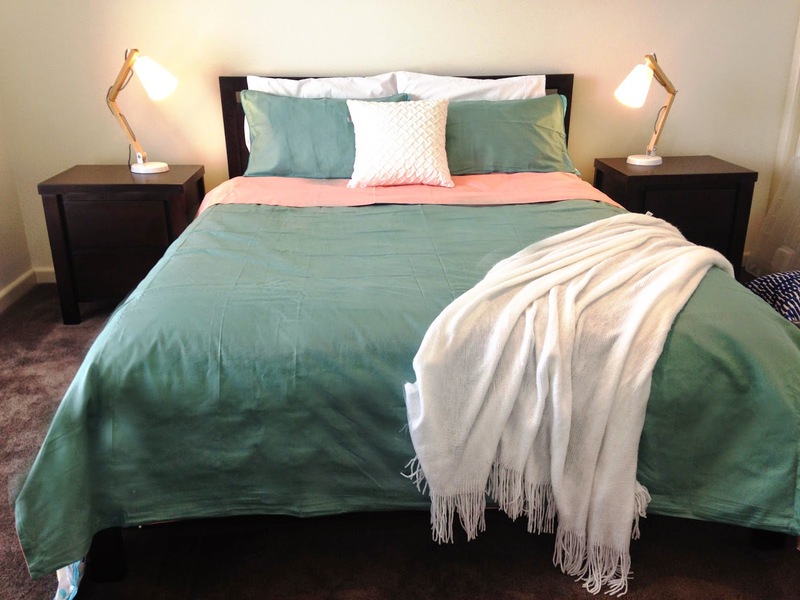 Here is a link to the exact bedding that I used in the photo above, but there are a heap of other colour options to choose from so make sure you look around. I absolutely love the Sleepy Bum products, they are such good quality and have so many amazing options. It was a really quick turn around as well between putting my order through and receiving the delivery. I always find amazing products from overseas and they take so long to arrive so it's so nice to have similar products right in your backyard. Love it! Make sure you check them out using the link above. The client loved this option and so did their agents! Tick and Tick! We toned it down with some basic white accessories but the client was so happy. Job done well I say! Have you added some fun styling to your home recently, adding a cushion or strategically placed lamp can make such a big impact on a space. Please share some of your fun styling photos with us, I always love seeing what others do in their homes, and the inspiration that I get from all of you is just awesome!